If you have a narcissist or someone with narcissistic personality disorder (NPD) in your life, the one thing that you have likely learned – probably the hard way – is that they lie. They lie all the time; about everything; sometimes for no apparent reason; lies are like their air. As adults, when we catch someone in a lie, we learn to question what they say or do after that, because they have proven themselves to be someone that lies. With children, it’s not so cut and dry. Our children believe what we tell them, because for the first part of their lives, we are the only thing that is keeping them alive. They have to trust us because they have no other choice. 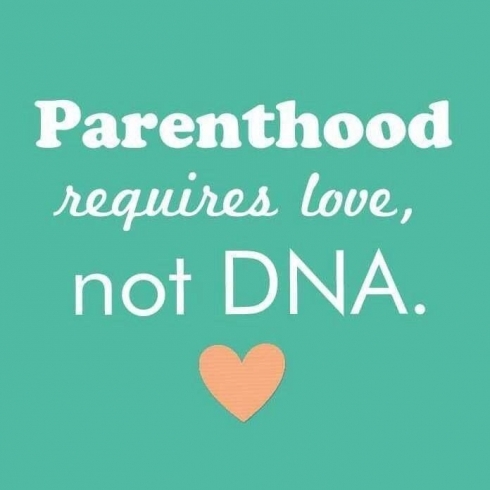 Mom/dad/parent/caregiver = life. Our children trust us absolutely. If you tell your young child an outrageous lie, like a man that lives at the North Pole flies all around the world in one night in a sleigh pulled by reindeer and leaves presents for all the good children for example, they will believe you. To a child, what comes out of their parents’ mouth is as good as gold. As children age, they learn how to be people by watching those around them. We have all witnessed or heard funny stories of a child learning to talk saying a curse word because they’ve heard their parents say it. There was a whole episode of “Modern Family” where a child keeps saying f***; and another where she emulates her aunt’s snarky responses “want me to call you a wambulance? wah, wah.” It’s even a meme. In the episode, her parents blame themselves and each other for her rude behavior but it turns out, she’s just saying what she has heard her aunt say to other people. Children learn how to behave from us. But what happens when the child’s primary caregiver is a narcissist..? They learn that you lie. You say whatever you need to say in order to get what you want or to get yourself out of trouble. Lying is ok, lying is what we do. They don’t question whether or not it is ok or good to tell lies, just like Lily from Modern Family didn’t question whether or not it was ok to make fun of people’s feelings by going “wah wah.” They don’t have the ability to take a step back and look critically at behavior, they only know that the people they trust are doing it so it must be ok. Frightening isn’t it? The problem is, if that’s all a child sees and knows, they start to behave like the narcissist. We realized that Harley was lying, a lot, in huge ways, and to manipulate, over the summer when she visited. She concocted a wild story that in hindsight should have been a red flag, but at the time we had no reason to disbelieve her. She said that her mother was forcing her to change who she is to conform with what her mother wanted her to be – she was forcing her to change her appearance and her personality. Seeing as her mother is a narcissist who cares more about how she appears to those around her than anything else, it made perfect sense that it could happening. At 12, Harley is beginning to be her own person and no longer the perfect little Barbie doll that her mother can mold into the blond, thin, gymnastics-doing, better than everyone else, hugely popular junior “mean girl” that her mother had wished she herself was as a child. It was not a stretch of the imagination to believe that Cruella would respond to Harley’s natural, age-appropriate differentiation and trying to figure out who she is by demanding that she stay who Cruella wants her to be. It caused Sebastian and I a significant amount of distress which culminated in him actually having a phone conversation with Cruella – something he refuses to do 99.9% of the time, unless it’s a legitimate emergency. After questioning from both parents and Cruella’s denial that she was doing anything of the sort, Harley admitted that she had lied about it, on purpose, in an attempt to cause her parents to fight. Then Harley announced that the truth, which she as supposed to discuss with her father but never brought up, was that she supposedly wanted to change her last name from her father’s name to her mother’s maiden name. She was afraid to tell him and so she made up a story about her mother oppressing her in order to distract everyone. Now, she is visiting for the Christmas break, and we have caught her in several lies over the last four days. First, she told me a story about getting frostbite two years ago, one that I was fairly certain was not true, given that she has not lost any fingers or toes and I was sure I’d remember hearing about that. It would have been a pretty big deal! She showed me her pinky finger would not bend to touch her palm and said that was due to frostbite. That seemed pretty iffy to me but I just let it go. Then, she was telling us all stories about how she “calls out” her teachers because she knows more than they do so she’s always telling them that they are wrong and correcting them in class. Clearly the 12 year old knows everything… I wonder where she picked THAT up?! She claimed that she has never gotten into trouble for talking back all the time, which cannot possibly be true. If she was constantly telling her teachers they are wrong and arguing with them in class, she would have been at least sent to the office a few times. Last, it came to a head last night in an incident that was clearly and elaborate, obvious lie. She heard Bruce ask me if he could eat the starburst candy that was sitting in the kitchen. I told him yes, but to please leave me the individual sized sour patch kids bag. Harley immediately pipes up with a very unnecessarily detailed story. She said: Oh, you know I am using a purse that I don’t usually use, only for special occasions. The last time I used it was on Halloween. Last night when you were asleep, I dropped it on the kitchen floor and everything spilled out. I bet I picked it up by accident thinking it was mine from Halloween. Obviously, a 12 year old child is not as skilled a liar as a 45 year old narcissist, so it was blatantly obvious that her story was fake. Her weird sense of urgency when I said it was ok; the long story about spilling the purse which obviously didn’t happen; finding it “in a desk drawer” after 30 seconds of going to “look for it;” blaming her dad; it all adds up to a really stupid lie. Sebastian was just going to let it drop but when she left the room I asked him to address it. I wasn’t upset with her taking the candy but lying about it was not ok. I know she has likely learned that you lie to get out of trouble, you like to get what you want, you lie to have something to talk about, you like to make yourself sound better than you are, you lie, you lie, you lie, because that’s what she sees from her mother. But lying about everything isn’t ok! Sebastian told her “Harley, we aren’t mad at you and you aren’t in trouble, but it’s not ok to lie about taking the candy.” She said “Okkkkkkkkkay…” all drawn out in a tone of voice like “why are you saying this to me when I didn’t take the candy?” And that was that. Honestly, I feel like I will start to question everything she says now. Not just because of the candy, but because most of what I have heard her say on this trip has been an obvious lie. The worst part is that we are helpless to do anything. A couple weeks a year with us is not going to make a difference. She has learned that lying is what you do, and she will probably always be a liar.